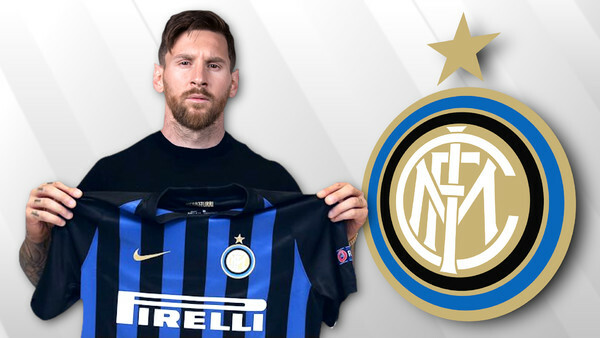 Inter Milan are reportedly targeting a shock move for Barcelona star Lionel Messi, according to Tuttosport, following comments made by Pirelli CEO (and Inter fan) Marco Tronchetti Provera. Suning, the Italian side's owners, allegedly want a huge signing "to rival Cristiano Ronaldo at Juventus" and the Argentine is apparently the name they are hoping for. Following Cristiano Ronaldo's move to Juventus earlier this month, something which the Portuguese icon justified as a "challenge", there has been speculation that Messi may wish to prove himself outside of Spain as he reaches the tail end of his career. Inter Milan, a sleeping giant over previous years, are now back in the Champions League this season and are tipped to be serious contenders for Juve's stranglehold over the Italian league. That Inter are being linked to a player of Messi's calibre reiterates the transformation they've gone through. Of course, this is pure speculation. Provera is simply a rich fan reaching for the stars, and Barcelona, having lost Neymar to PSG last summer, would need a gargantuan sum to even contemplate letting their prize asset leave. Furthermore, the 31-year-old signed a new contract with the club until the end of the 2020-21 season, complete with a whopping £626 million buyout clause. Nevertheless, with Ronaldo and Messi seemingly in a never-ending battle to prove who is the greatest of all time, it's not necessarily too far-fetched to suggest a showdown in Serie A is completely out of the question.